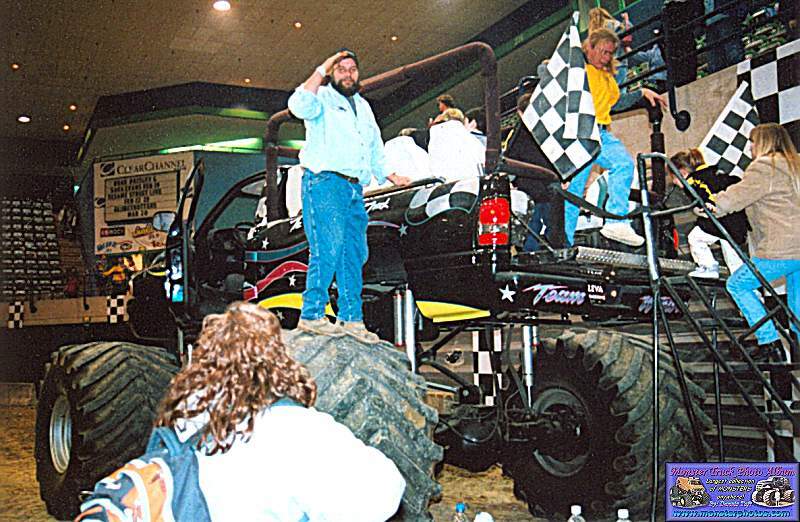 These are the pictures from CFP's event in Salisbury, Maryland Jan. 2005. 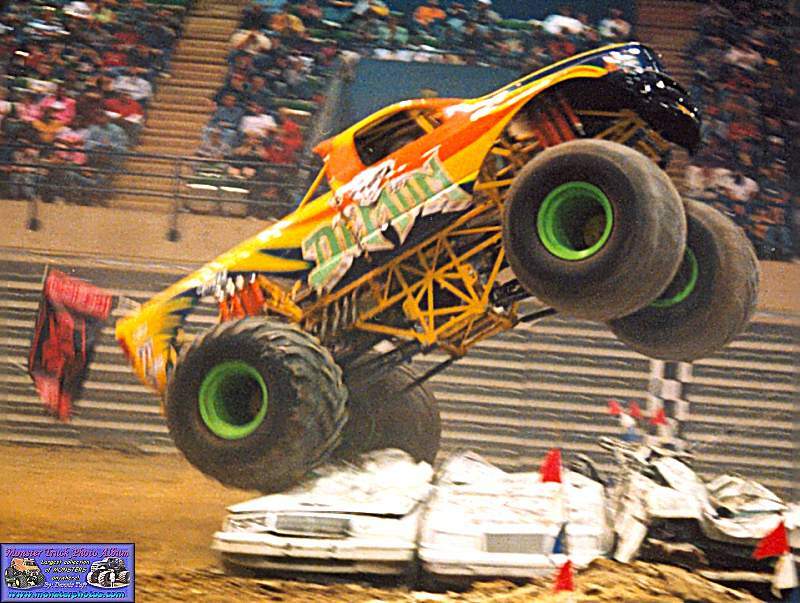 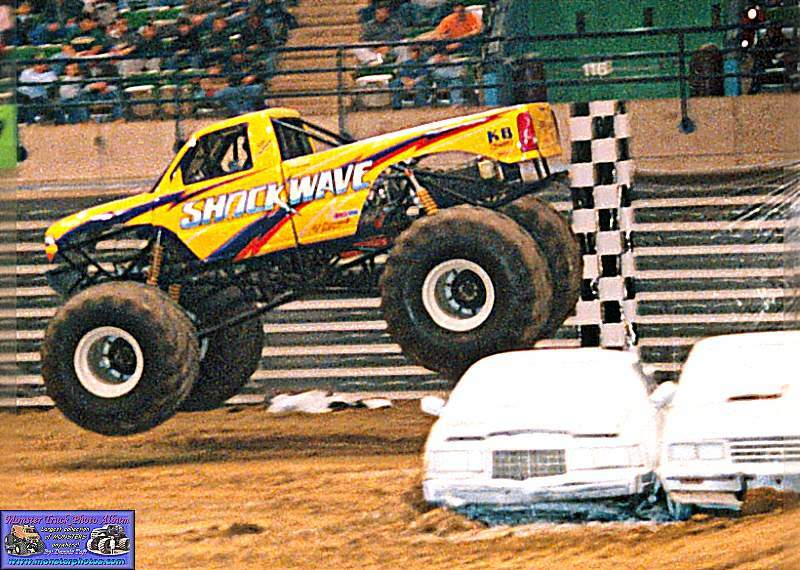 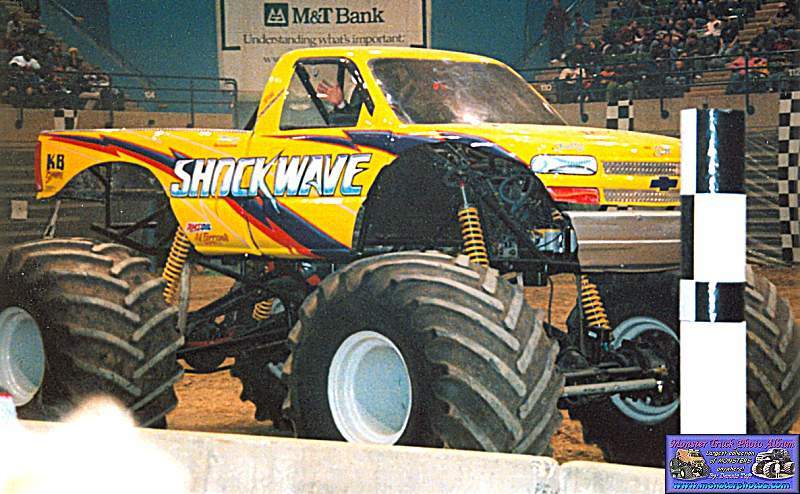 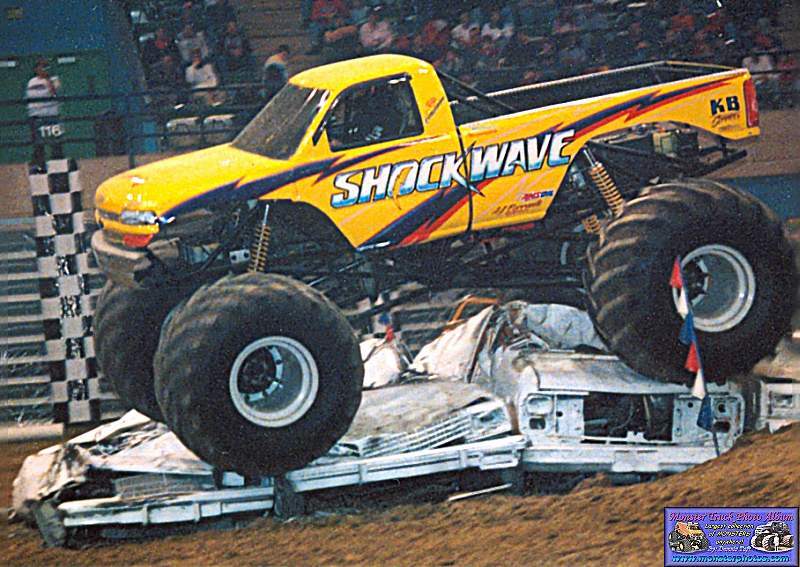 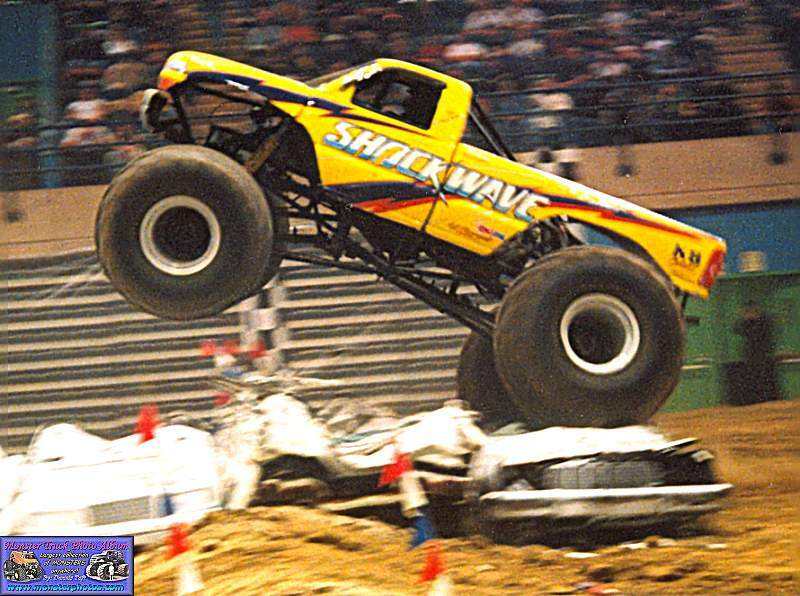 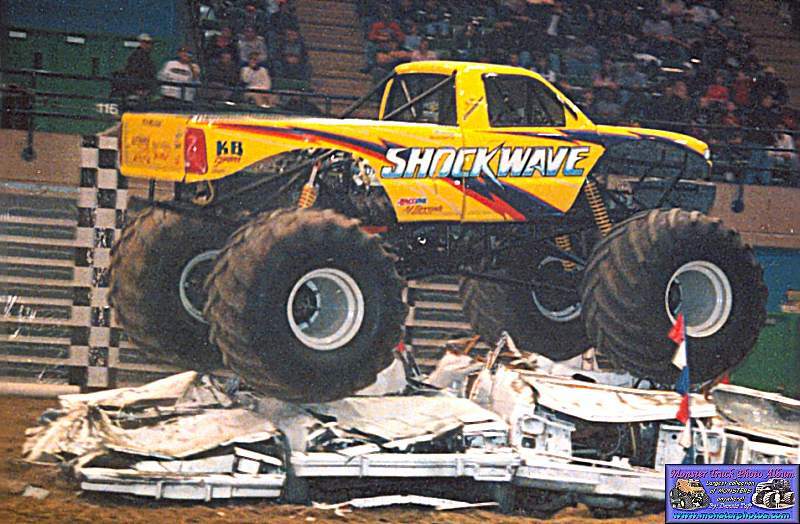 Shockwave took the win Friday night, and Bigfoot won both shows on Saturday. 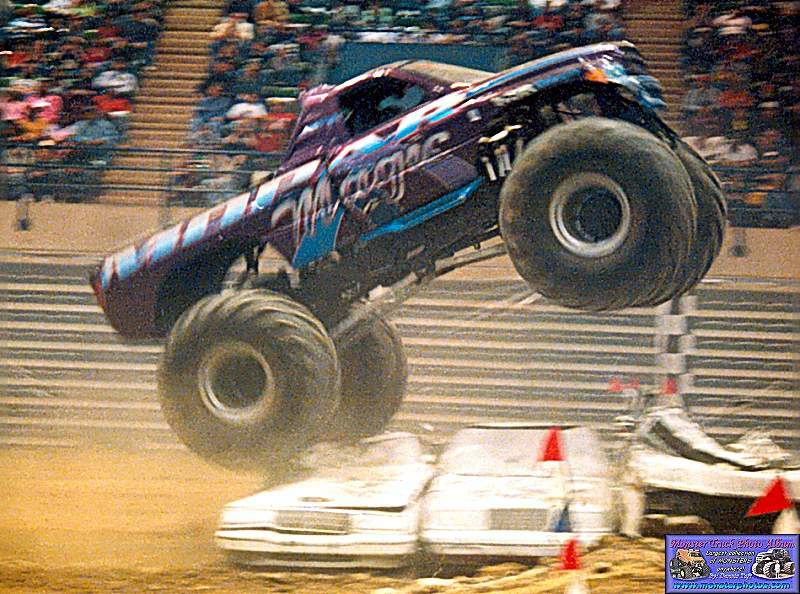 Really great shows. 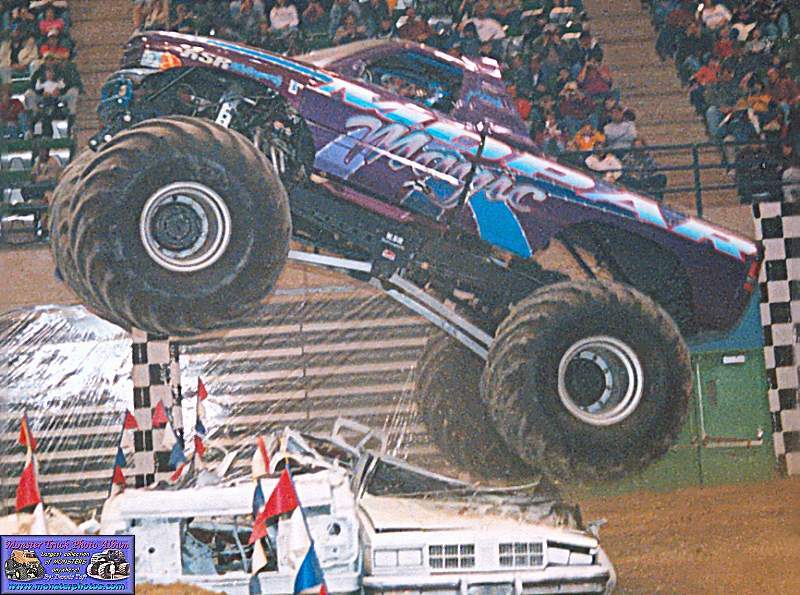 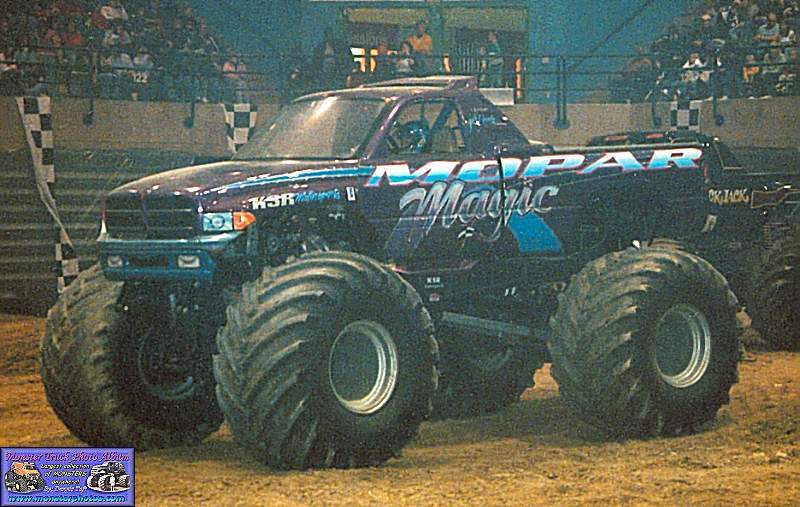 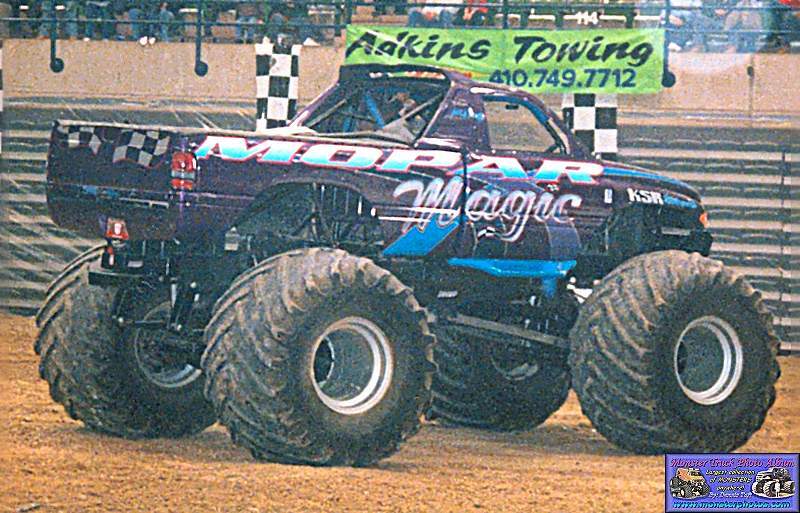 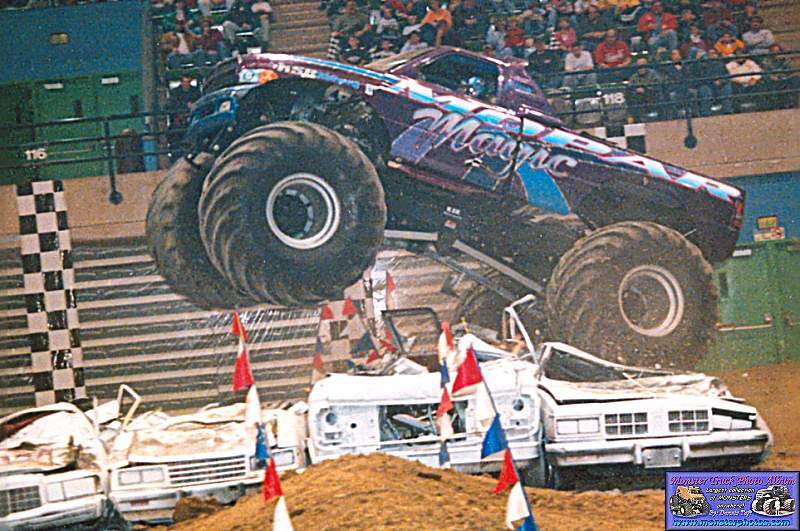 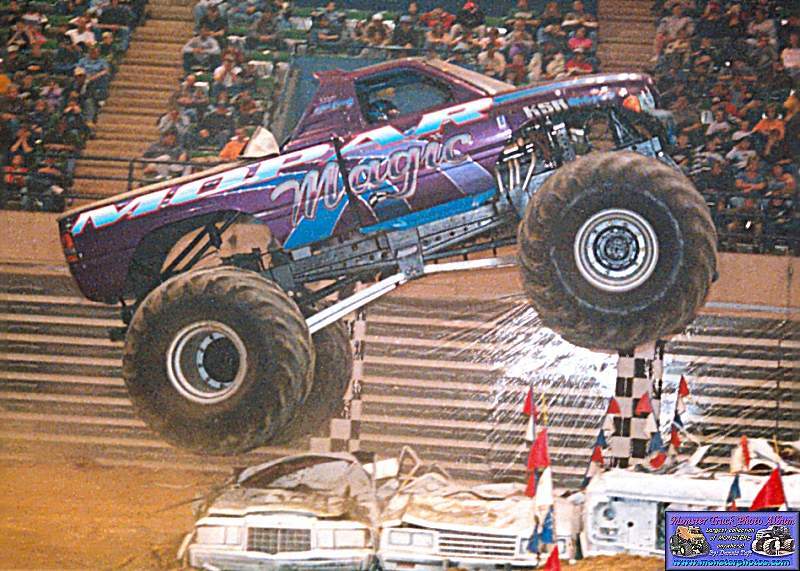 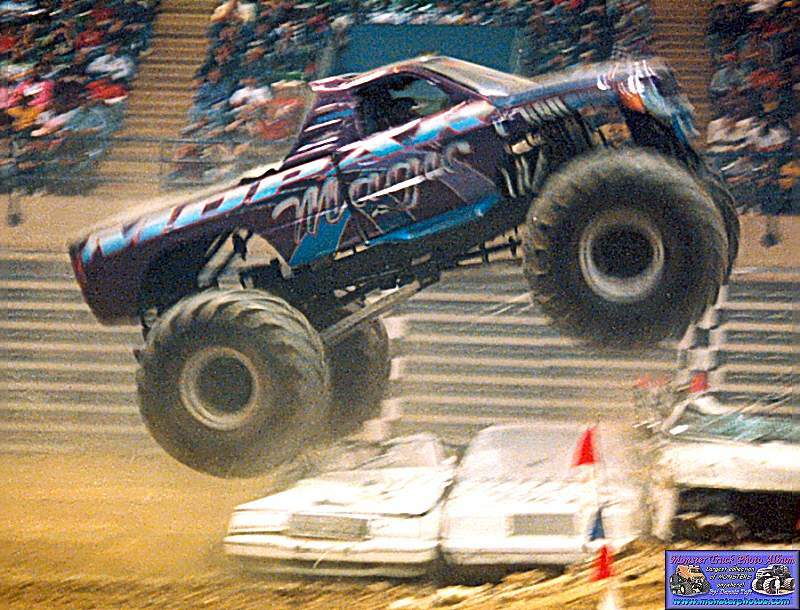 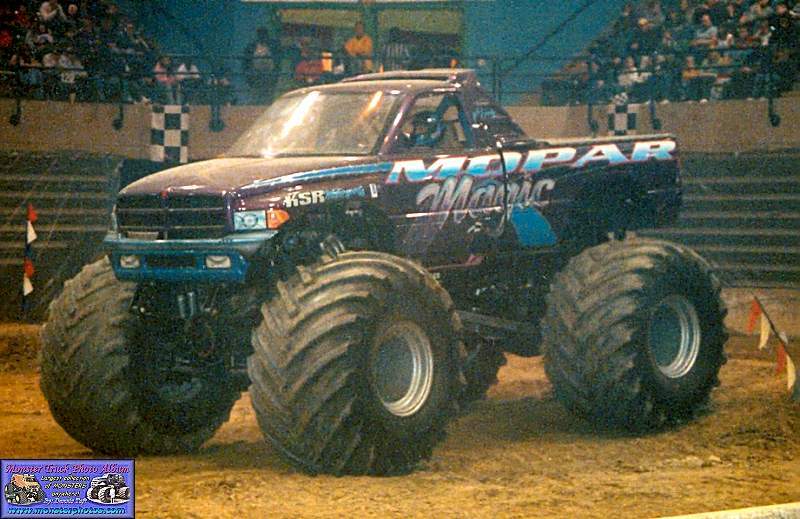 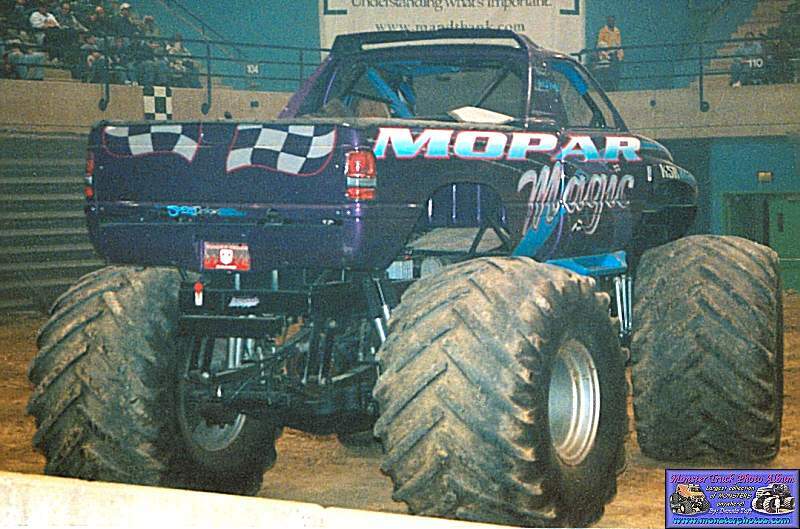 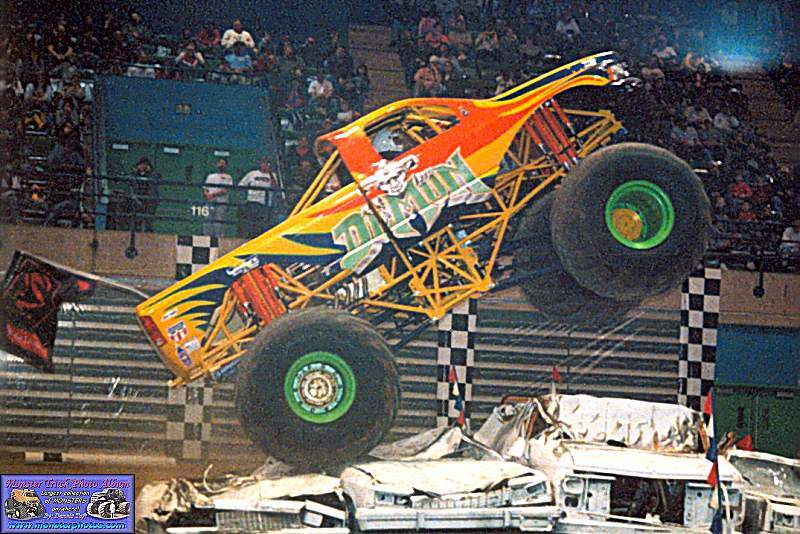 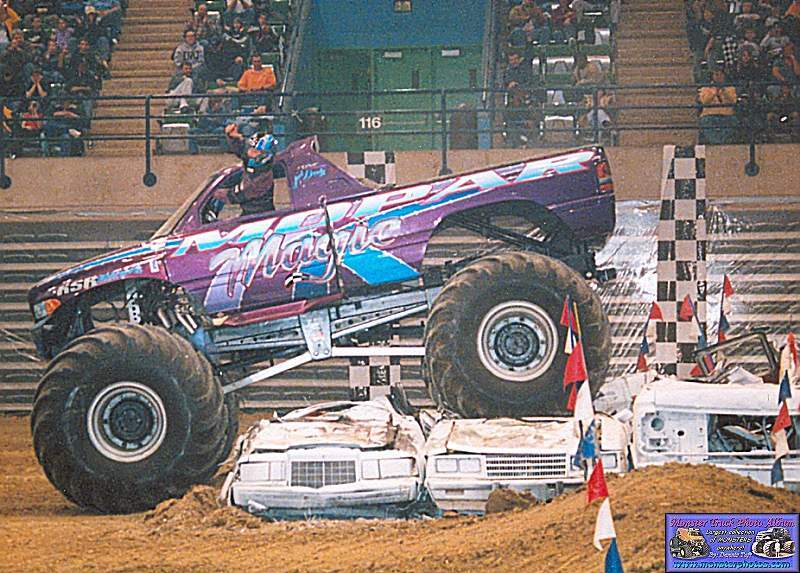 My favorite truck, Mopar Magic went to the finals twice during the weekend. 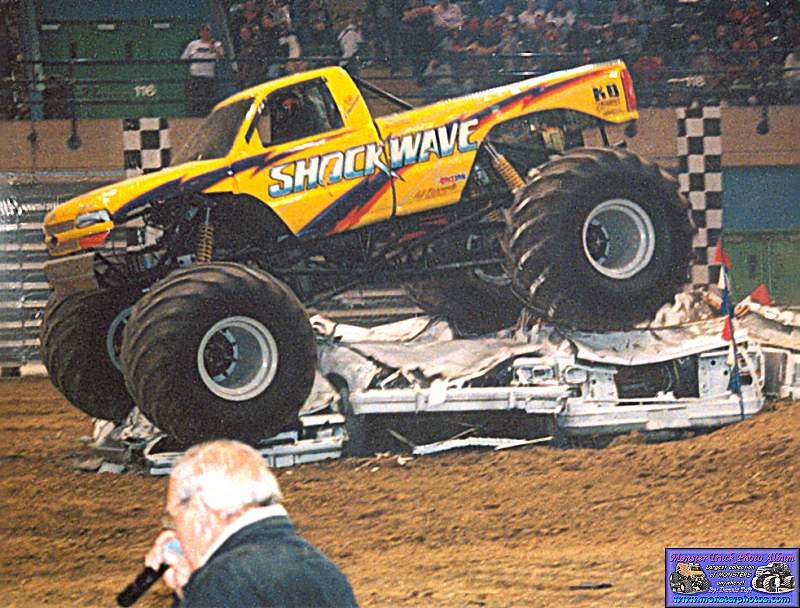 Black Jack nosed over and flipped during Saturday afternoon's show. 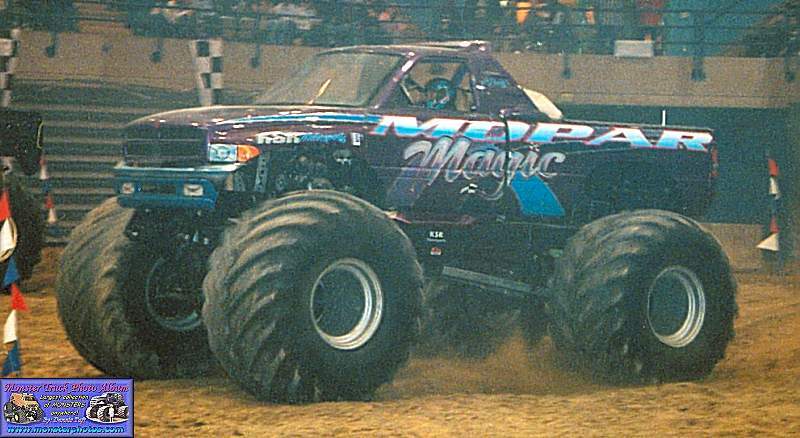 It's really a beautiful truck. 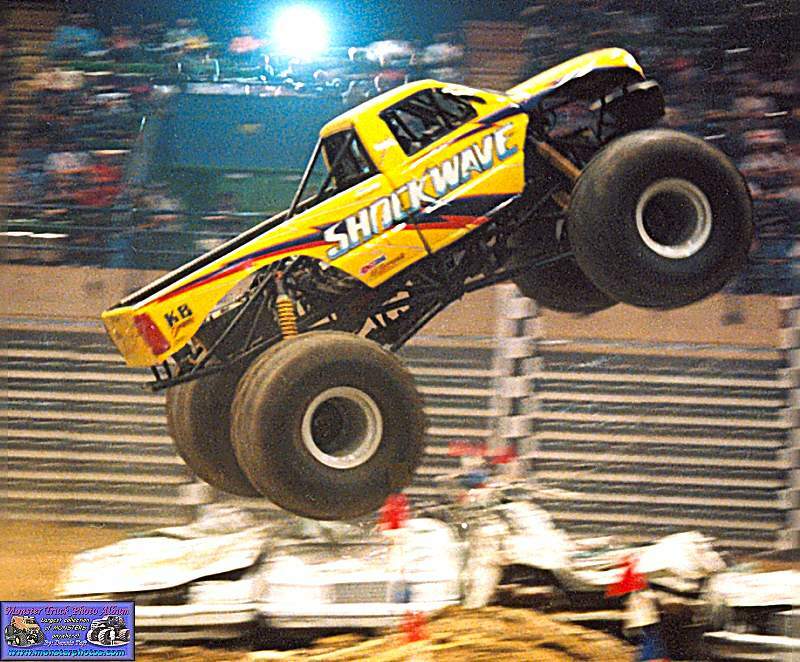 What can you say about Shockwave, gets better everytime I see them, and they have to be the nicest team in the business. 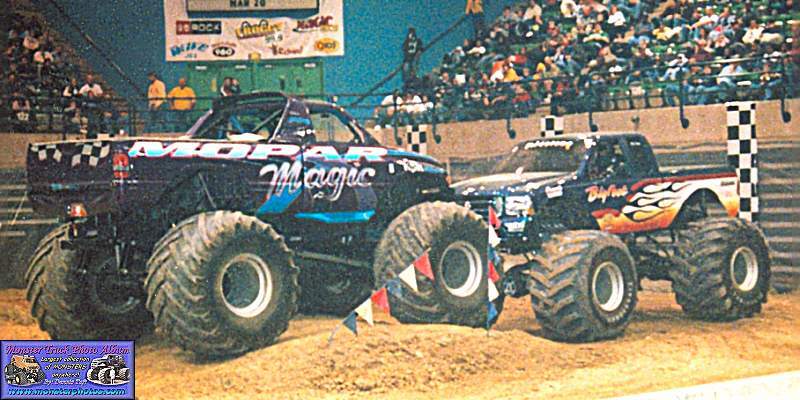 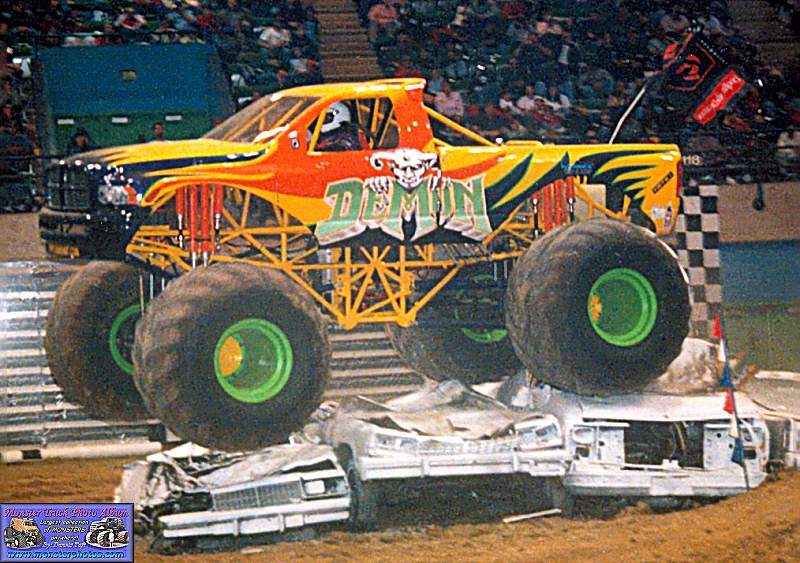 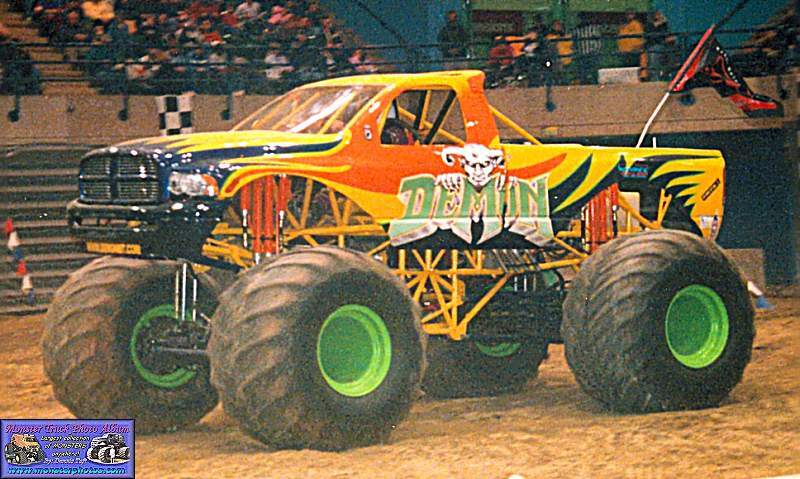 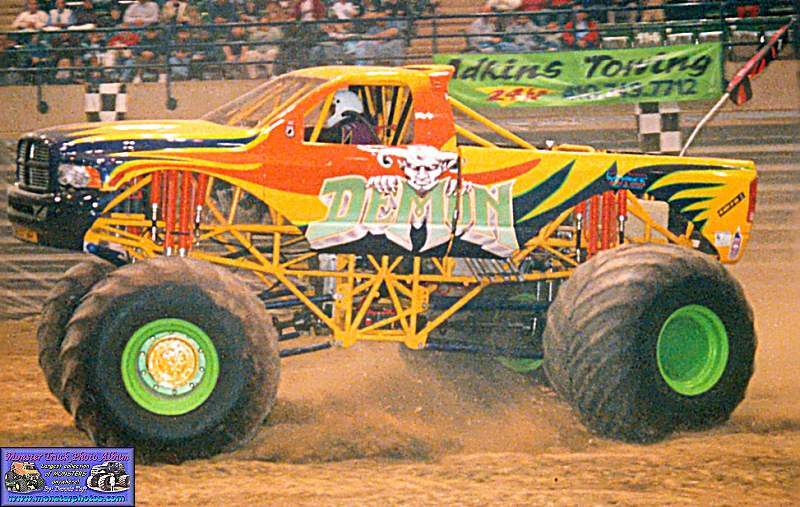 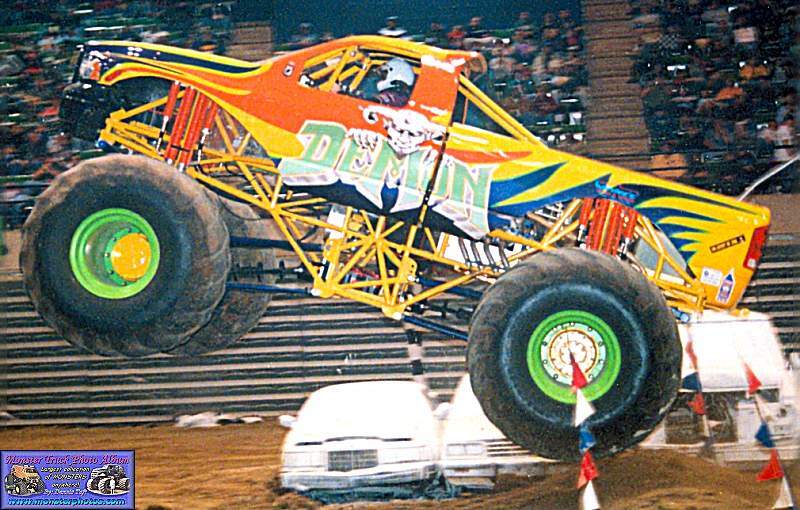 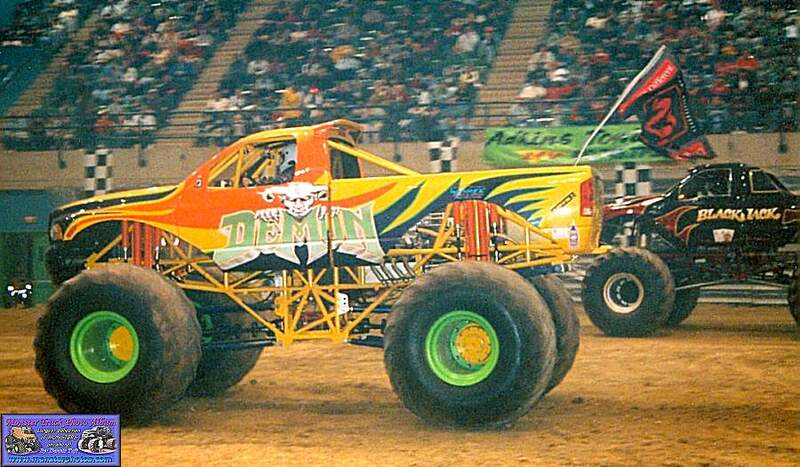 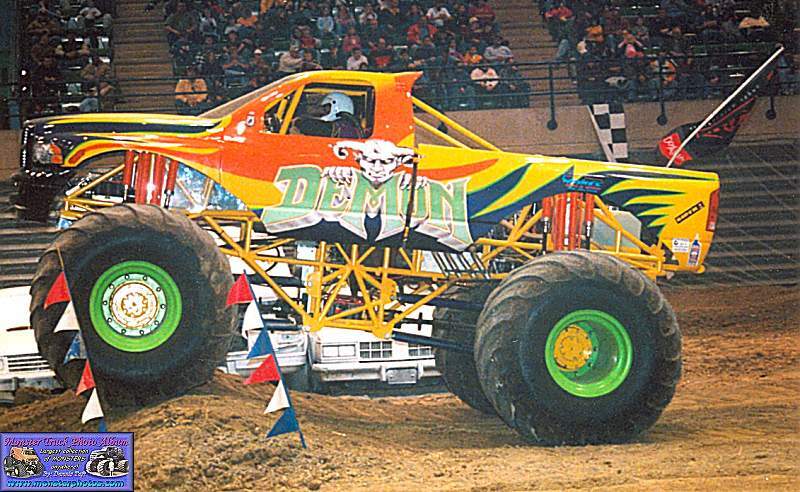 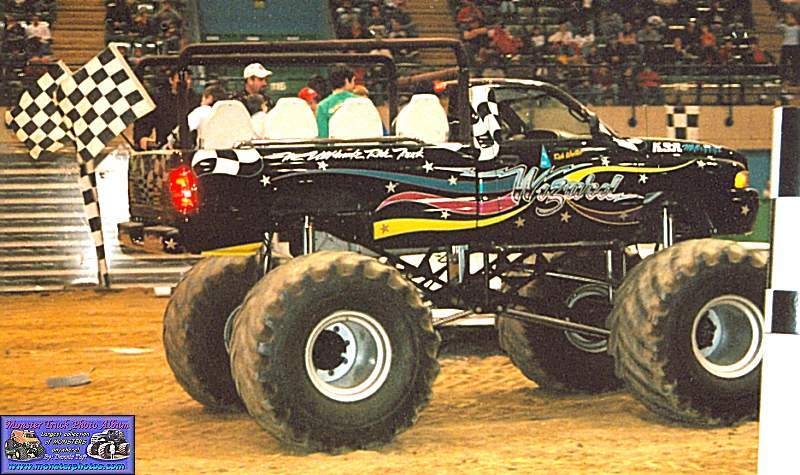 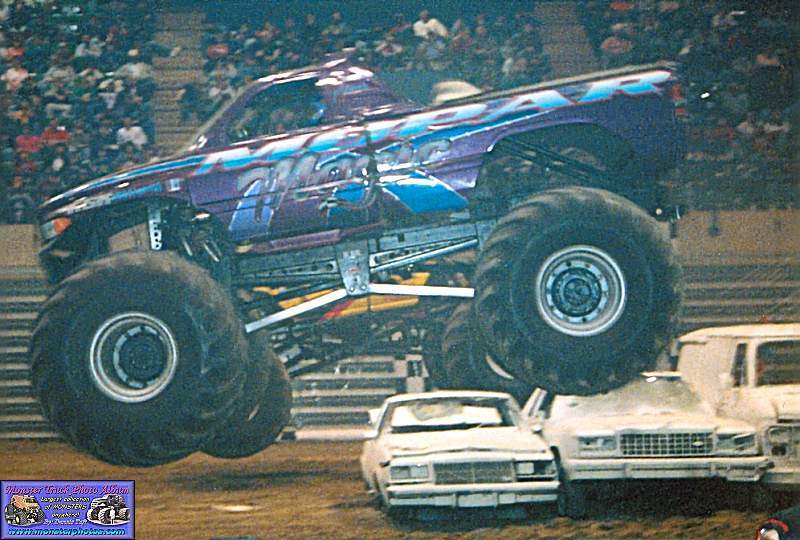 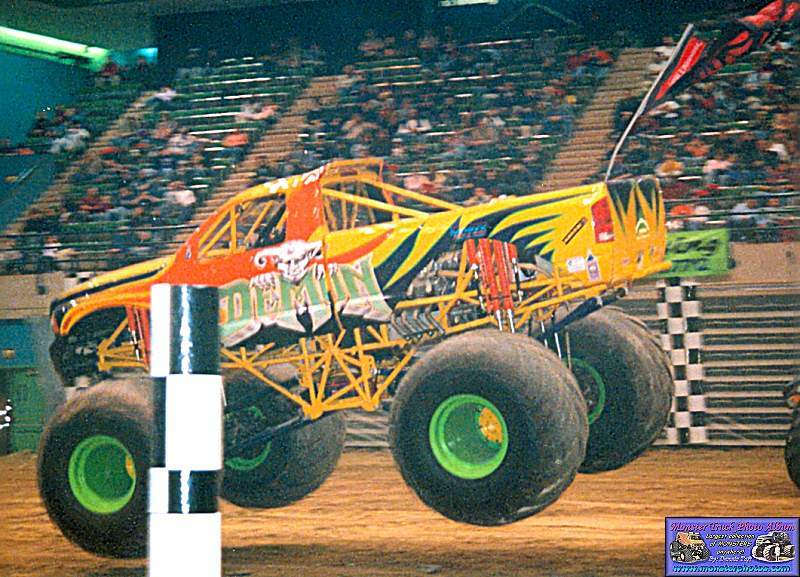 Demon and Aftershock filled the field with the Wizard giving rides during the show.